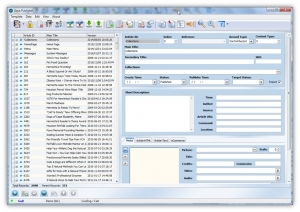 Gaia Designer – The software tool which we use to generate Apps. 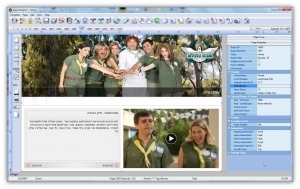 Gaia Publisher – Our Content Management System. Gaia Cloud – The platform backend that analyzes and optimizes the client data. Gaia Portal – The frontend of some major activities and services in Gaia platform. Gaia designer is a powerful software tool which Gaia uses to generate Apps for mobile cell & tablet devices on IOS & Android platforms. Generate the app pages and all objects that are related to each page. Define the business rules, links and transitions effect for each interactive object. Link each object to the app data stream in various ways. Define the app services such as content collaboration, content sharing and more. The final outcome of Gaia Designer is a template file which can be used later for other Apps. The template is uploaded to Gaia Cloud. When the app is launched, it downloads the template and activates it based on 100% Native objects. For clients that do not have an internet site, Gaia Publisher is used as a Content Management System for the App. 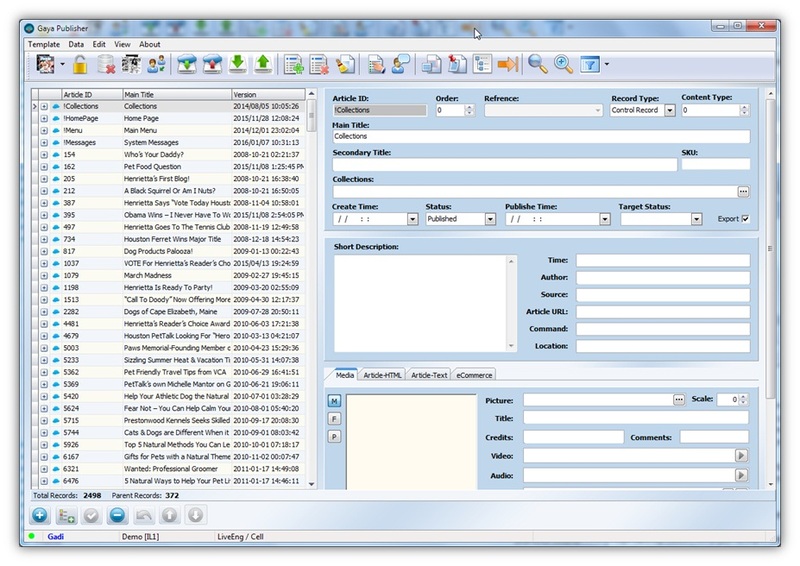 In addition to the App data, using Gaia Publisher the client can control the App menus, special links and other special App data and services. Each article can be classified with various properties such as Main Title, Secondary Title, Short description, Time, Source, Author, Article Body, Video & Audio URL and many others. The articles can be generated as a tree structure. For Example a parent article with different sections, picture galleries and more. The major role of Gaia Cloud is to capture the client data stream on a regular basis and optimized it for download while the App is launched. This way, even when the client has a very large volume of data, the app will still work fast and smooth. Gaia Publisher – our content management system, a powerful tool in which you can manage complex data structures, data collections, app menu and more. For WordPress based internet sites, we developed a special plug-in to derive the data. When all the above is absent, we provide a customized gateway to the client data. Gaia Monitor pulls the data from different channels. The monitoring frequency can be configured based on the nature of your business needs even in near real-time. The coming data feeds contain data units (i.e. Articles). Each data unit is broken down to multiple data tags like Title, description, picture, etc. Gaia platform supports a wide variety of data types such plain texts, HTML texts, hyperlinks, dates, pictures, Video, Audio, eCommerce properties, PDF and ePub books. Gaia Portal is the frontend of some major activities and services in Gaia platform. Use Facebook Connect or our single sign-on solution to allow your readers to sign into the mobile app (and keep them signed in) and provide them with more services. In GaiaMobile platform you can manage your digital media products and keep track of all purchases made by your readers. Apps in GaiaMobile platform may include a form with which readers can upload information to Gaia Portal. The information includes user info, texts, pictures and even a short video. User comments (talkbacks) are a great way to drive user engagement, and word-of-mouth endorsements of your users to their friends, family and business contacts. © Copyright 2013 GaiaMobile. All Rights Reserved.